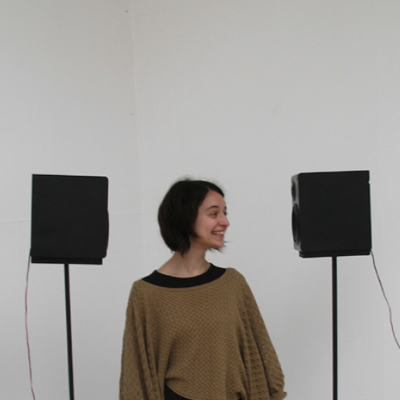 Radio composition (stereo), also possible as a stereo sound installation. Produced by Kunst Radio (AT). False friends are a source of misunderstanding, but in the present work, they become the material of a composition based on different voices, telling similar words with different accents and meanings (Italian, French, Spanish, German, English), which the artist de-structures through a dadaist collage of cut up words. These words are transformed into a voice and language nonsense polyphony, through a progressive superposition. Playing on pitch of voices telling the same things with different accents, the montage rips up the language in itself.